It’s official—we’re breaking one of the cardinal rules of Las Vegas. You know the one, “What happens in Vegas stays in Vegas”. But at TopRank Online Marketing, just can’t bring ourselves to do that. This year’s NMX conference is taking the city (and the New Year) by storm. Full of bloggers, digital marketers, and industry experts this new media conference promises to deliver so much information we just won’t be able to keep it to ourselves! Which is why I’m joining Nick Ehrenberg and Ben Brausen to jet off to soak up as much as we can, and share it with our readers (even if it means breaking the rules). 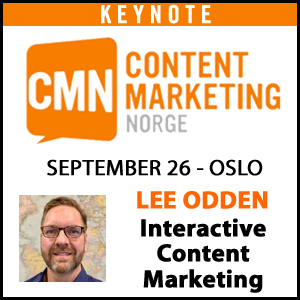 Along with liveblogging, our own Lee Odden will also be at NMX giving one of the keynote presentations along with Scott Stratten, Amy Porterfield and several other top blogging pros. For those who can’t attend, or for attendees who missed a session and want to catch up, here is a preview of our liveblogging schedule. These aren’t all the sessions we’ll be covering, so be sure to follow along @TopRank to see when new posts are published. By the end of the session, I hope to have a live blog that readers will happily pin on their own boards. There are a million podcasts out there. So how do you find your niche? In Kenn Blanchard’s presentation, we’ll learn how to find your podcast focus, how to define your audience so you know where to find them, and how to tap into a highly engaged audience. We’ll learn how to find our place in the world of podcasting and how to stand out among all the others. Social media is a great tool for connecting with your target audience. We could spend all day working our social channels (out of necessity and losing track of time). Though some of us would love to do that, we don’t all have that luxury. For those of us that can’t, there are tons of tools out there to make the most of your time spent on social. Ian Cleary’s session will look at 15 social media tools to make the most of your social efforts. The presentation will cover new tools, as well as existing ones that could be more efficient than ones you’re currently losing. 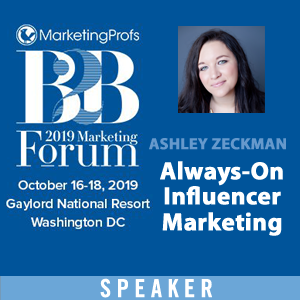 Cleary will also present how to best use these tools for the best return on your time investment in social and blogging. Brands frequently discuss leveraging thought leaders in their content strategies, but what is the best way to collate and utilize these sources? Dino Dogan, founder of Triberr, believes that hiring 100 brand ambassadors – bloggers and content creators each with their own small but loyal followings – will boost online brand awareness. 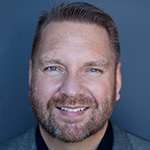 His session will teach how to connect brands and influencers in a creative way. We’re hoping to learn how to make it work for smaller B2B clients that may not have the same resources as a large brand. Businesses cannot ignore mobile content marketing, but they also must understand customer mobile habits in order to create relevant, shareable content. What are customers looking for with mobile content? What are B2B businesses looking to deliver? How should mobile be integrated into an overall content strategy – and are we nearing a future where mobile become the dominant platform for content delivery? Greg Hickman, founder of Mobile Mixed, will teach NMX attendees how to create a mobile content marketing strategy that will allow you to create an amazing experience for your consumers regardless of the device they use. Almost everybody – individual and brand alike – has a Facebook page. But if you want to register more that incremental growth on that page, (and have little funds available for paid advertising), the tips from this session should help create authentic growth. Andrea Vahl plans to highlight 5 essential elements that an effective Facebook page has, as well as teach how to set up a Facebook Page strategy and find the best content to post. Lately, marketers have shifted to focusing more on the customer experience and ensuring it’s optimized, relevant, and as memorable (yet unique) as can be. It’s essential to balance that with your own objectives which has raised a huge question, “how can you make money from advertising and not degrade the consumer experience?”. Matthew Alecock and Dave Zinman plan to review principles that lead to their success in this arena. 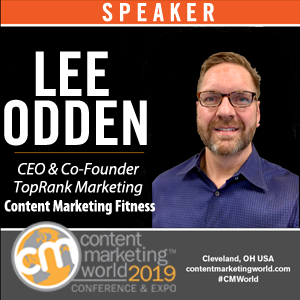 They will also highlight why it’s important for publishers to offer advertising solutions that successfully operate on a global scale, the importance of targeting customers in real-time, and how to enhance the user experience with advertising. Like every other great conference, these sessions are a minuscule representation of the helpful, interesting sessions scheduled throughout the three-day conference. Check out the conference program for the full schedule of presenters and topics! What are you most excited to learn from NMX? Are there any sessions you’d like us to cover? All the things you need to know about successful online marketing are listed above. This is a great opportunity for bloggers to learn something new. Congratulations in advance Toprank family! Thank you! We’re excited and hope you learn something along with us!